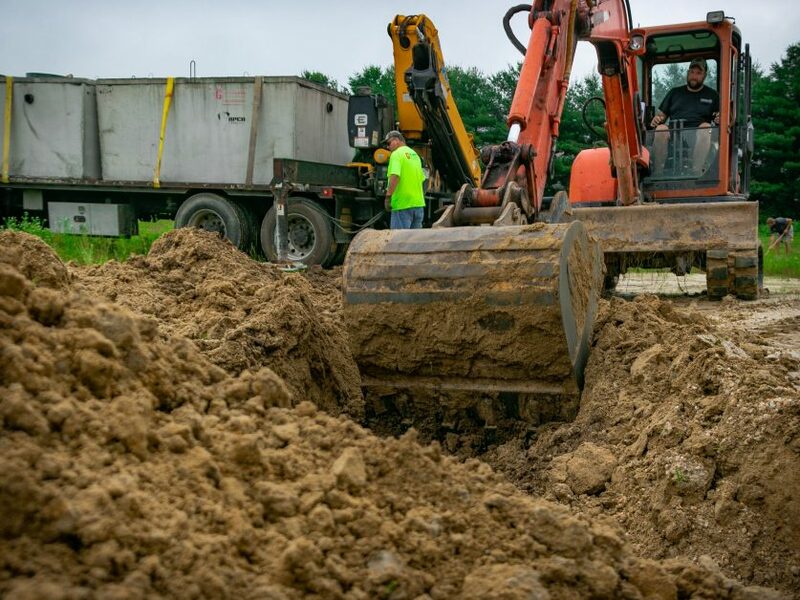 Why We Don't Install Septic Systems When Soil is Wet | Willey Co. It has been an incredibly wet winter and early spring on Delmarva. We often have to let clients know that their septic system can’t be installed due to the soils being to wet. We have to wait for the soils to dry. I thought I would explain the reason why. When the soils contain a lot of moisture they tend to smear when they are handled. Thats a big problem for installing septic systems. The interface between the soils and the stone or aggregate is incredibly important to a systems longevity. We don’t want any smearing. Smearing can happen when the bucket is sliding through the soil to excavate it. It can also happen from footprints or other activities. The interface should be left in a rough and non compacted state. Wet soils can be compacted much easier than dry soils. We completely understand the frustration of not being able to get a system installed. We don’t get paid until the system is complete so we want to get it installed as quickly as possible, but not at the expense of the systems longevity. Hopefully this helps you understand a little bit about why we have to postpone installation on systems where the soils are just too wet.